Sew Classic: Vintage Pattern Giveaway! So in response to my last post, where I felt terribly guilty for having and buying things that were just going to waste and kill the planet, I decided to clean out craft room a little, and find all the patterns I wasn't interested in. There's quite a few! 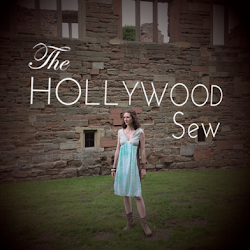 Even though I've really only used one actual pattern to make a dress (and no, it's not completed yet...) I have a large collection of vintage patterns through giveaways, sales, and family members. I'm going to try to give away a few each week for the next few weeks, though the time may vary slightly. Some patterns are cuter than others, but that's usually the way it works, right? Also, let me know if there is any interest in vintage nightgowns because I seem to have acquired a lot. So my first giveaway are 2 lovely patterns that I think are darling, but they look terrible on my body type, so I'm not even going to try. I'll be giving away the patterns separately so there will be two winners! 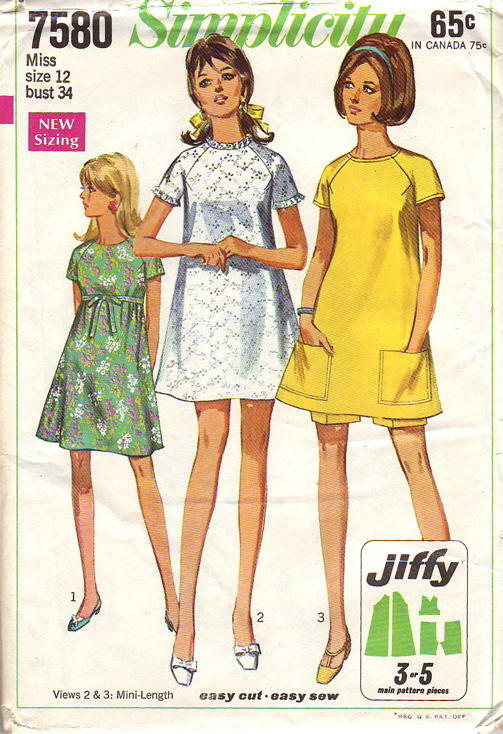 First up is Simplicity 7580, a cute sundress from 1968. It's a size 12. Bust 34, waist 25.5, hip 36. The pattern has been cut, but whoever had it before took great care of it because it seems to be in great condition. 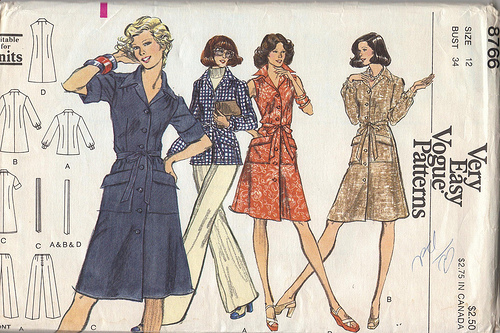 Next up is a Very Easy Vogue Pattern 8766. I can't find a year on it, but I think it's safe to assume the 1970s. There are 3 dresses and a pants outfit. It's a size 16. Bust 38, waist 30, hip 40. The pattern has not been cut and it looks like no one has ever unfolded it before! There are 4 ways to enter, additional entries/comments will be deleted. Two winners will be selected via random.org and the winner must respond within 48 hours or I'll select another winner. Because this is coming from my pocket, I can only ship to the US at the moment - sorry! Contest ends July 23rd at 11:59pm EST. I don't usually dress "vintage," but I love things that are old, but could also look modern - like the Simplicity pattern. What a great idea for a giveaway! I love styles from the 50's and mod styles from the 60's, but don't necessarily wear them. I think I would choose the Vogue because it's closer to my size; less grading ;) Thanks for the giveaway!